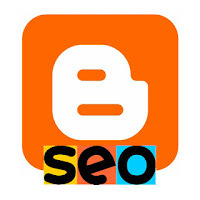 Blog Blogging and using Some Seo with it too. Welcome back to LilacsNDreams, and glad to have you all here. This will be another posting sharing a bit more about Blogging, and using Seo with Blogging, what to do, and why it is good for you to apply some of these things. Especially if this is for business you want to work with your Seo. There is an On Page Optimization, and there is also an Off Page Optimization. All the Search Engines have a unique algorithm for determining how relevant that your blog posting is to be given for a query. The On Page Optimization is for how many words are in a post that match up with a search that has been done. You want to create content that pertains to your business, subject, or topic of your post. It is helpful to try to answer questions within your blog post too. Doing some of this can help with you ranking higher in the searches. You want to Brainstorm Keyword Phrases. Brainstorm as many keyword phrases along with words that you can rank with. Keep in mind to use those that prospective customers, and those searching would use. Good to use Keyword Analysis Tools like the Google Adword Keyword Tool. You could also use the Google Analytics. In this report you could also see the keywords that are being used to maybe find some of your posts. There are different free things out there for you to use for researching keywords that could be used. Keep in mind, there are also places out there that asked to be paid for this service too. There are tools to help determine how many people are searching for the phrases you use, the keywords you use, and can also give you an idea of how much competition is there for each thing used too. Using keyword phrases can sometimes help more than just a keyword as you will learn. The Off Page Optimization refers to how many quality inbound links that you have. Those are links from other websites, blogs, directories, pages, and etc. that come to your Blog, and your post. This is referred to the other half of the search engine equation. The Search Engines see those inbound links as a "vote of confidence". Different variables that can effect how important each link is with the Linking Site, Number of links on the referring page which each page does have a limited amount (reminder about not over doing it as was suggested with the keywords), Context of the Linking Page with your blog subject and if links are from that subject, and then there is Anchor Text which the words in the link are critical. You want to use words that again pertain to your topic, and of course what your business is about too. An example is using such words as vintage, collectibles, repurposing, and upcycling. These are words that I could use, and then I would have those words link to either a blog post, a website, one of the stores used, and so on like that. To get more incoming links to your Blog, or your Website you could use How to Articles, speak of a certain topic, use and give instructions for completion of certain topics, and another suggestion to use for some of this would be to use a video. You know, like You Tube or something. Yes, videos have been highly recommended because it has been noted how people like to view things being told. Another suggestion to use for links it to maybe use Guest Blog to create keyword rich links to your blog, or website. Links were mentioned before, but also don't forget your backlinks too. Not only do you want links going back to the places of interest, but you would also like to have those links coming back to you as well. Preferably they are links from sites, or even places that share some of your same interests to be more meaningful to be used. This can also help you with a higher search engine ranking too. Try to publicize your blogs. You can do this by sharing them to different places such as LinkedIn, Twitter, Facebook, Google+, Digg, Stumble Upon, and etc. You generally will see more reaction, or interactions with this than the comments left on your blogs. As mentioned before try to show your personalities through your blogs too. People can see you, sense you this way, and through your words, how maybe you represent yourself, and it is also good for creating relationships, and some business relationships too. Back to the idea of a Blog topic. If you have thoughts, something you would like to share, see something that maybe refers to being a good topic please make a note of it. It can be very easy to grow your topic list this way, and I have found to be very helpful too. Sometimes we may have a block of thoughts, and ideas. The notes can help, or also using Word Tracker can be helpful to use too. Remember to be consistent with your blog postings, have some sort of schedule for when you post, and to keep in mind how you can always post again about a topic you already used. When doing this you are adding to the topic, and you are also refreshing the thoughts, and comments with it too. Sorry this is so long everyone. Kind of like there is never enough time, or space to put in all you want to say, and do...know what I mean? :) Thanks for taking the time to stop by, read with me, and share with me anything you would like to add too. Thoughts, and ideas are always Welcomed here at LilacsNDreams. Ya'll take care, and have a Wonderful Day! :) See you again soon. Over Whelming...oh yes it can be! It has been great having you here, and meeting with you. Again, thanks so much! Have a wonderful weekend, and I wish you well. Donna, I responded to the email received by you...hope it got to you safely. Thanks soo very much for visiting with me, and glad I can help out too. I am not an expert, but love to read up on things, and share what I have found and learned too. I do apologize to anyone who is visiting if they are seeing some of the repeated posts from my "old" blog. Some had marked for later viewing, and for referral too. Soo, to keep everyone updated, I am slowly bringing in some of those postings from my "old" blog, and applying them here. Hope this helps those who have visited before.